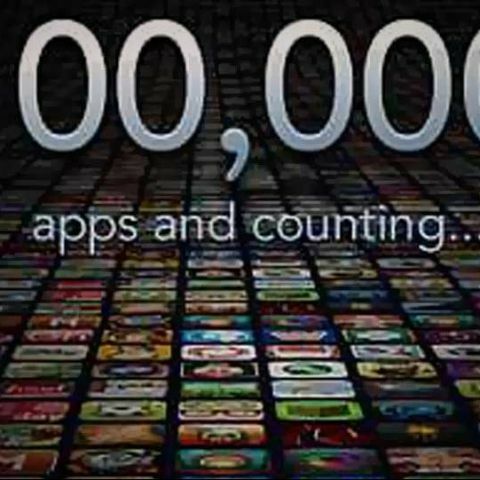 Just seven months after its launch in October the Windows 8 App store has reached the 100,000 app mark. Microsoft’s Windows Store has reached the 100,000 app target, according to a tweet by the company. Microsoft CEO Steve Ballmer had announced at the Build 2013 conference that Windows Store will surpass the 100,000 app milestone sometime in July. Just a week after this conference the Windows 8 app store has hit the mark! The 100,000 mark has been achieved fairly quickly by Microsoft considering that Windows 8 was rolled out in October last year, just seven months ago. Microsoft’s own Windows Phone Marketplace store took closer to 18 months to achieve the 100,000 app milestone in 2012. The Apple iTunes App Store took closer to 14 months to reach the 100,000 mark and even the Android Google Play store took about 18 months to achieve the same number in 2010. This milestone has been achieved due to Microsoft's strong developer community. Microsoft has also unified the code base necessary for apps available on Windows 8, Windows Phone 8 and the Xbox One, which allows developers to sell their apps across all of the Windows stores with small effort. Microsoft Windows 8 has also become the third most popular desktop OS surpassing Windows Vista just 7 months after its launch. This is surprising as Windows 8 OS received a lot of criticism due to its tiled UI and lack of a start button. Apple OS has about 7.2 percent of the overall desktop usage share market while Linux has a 1.28 percent market share.